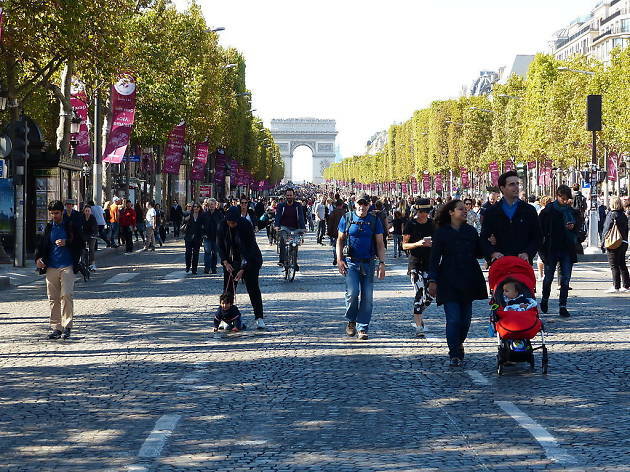 Worldwide icon-chevron-right Europe icon-chevron-right France icon-chevron-right Paris icon-chevron-right Champs-Elysées reserved for pedestrians! 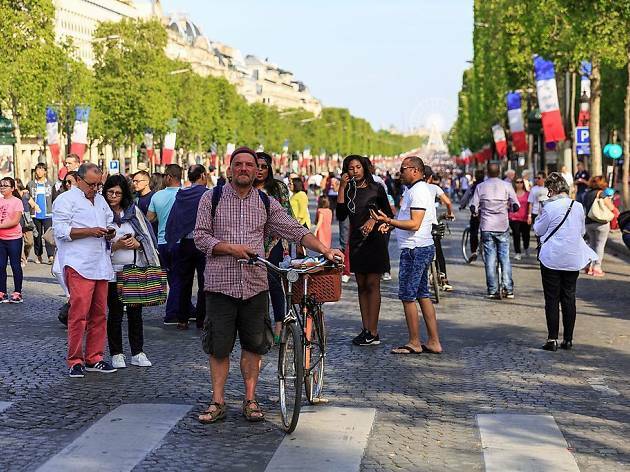 This Sunday 6 August, 2017, the world's most beautiful avenue is pedestrians-only! 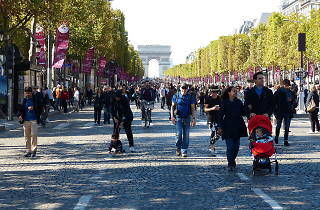 The Champs-Elysées is one of the worlds biggest and most beautiful avenues. It's also permanently congested, making it a noisey and fume-filled walk. 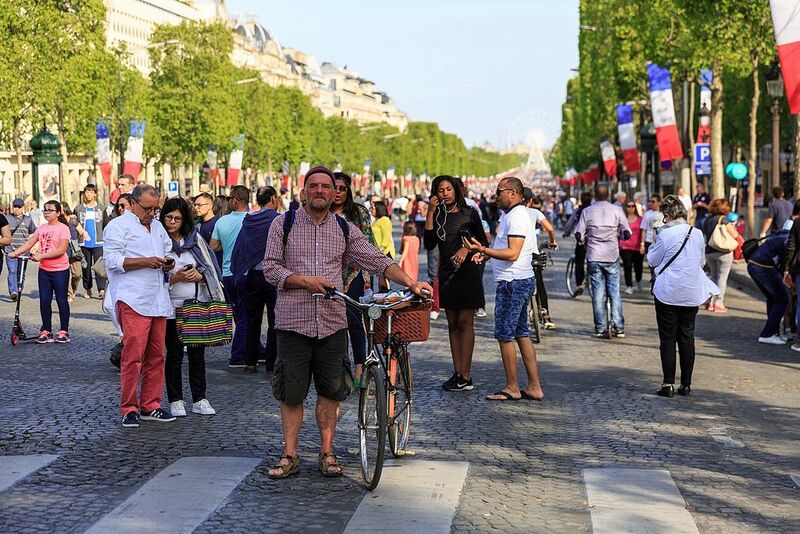 Thanks to the Paris Respire project, the city is making efforts to reduce pollution and increase green spaces across the capital. There are a number of zones that become closed to traffic, and this Sunday, the long stretch of road is reserved exclusively for pedestrians. Once a month, the Champs clears aways its cars. From 11am-6pm on Sunday 6 August, 2017, you can stroll, cycle or jog down the tree-lined avenue - not a vehicle in site. What better time to take advantage of unparelleled views from the Arc de Triomphe! And if you get peckish, there's always Ladurée (now open until midnight) and new place to be Le Drugstore.